As the second largest city in Indonesia (after Jakarta), Surabaya has a population of close to 4 million people. It also has the second busiest seaport and second liveliest financial hub. 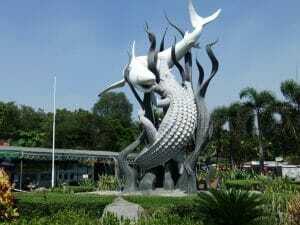 As a hub on the eastern part of Java island, there are various ways on how to go to Surabaya (internationally and domestically). 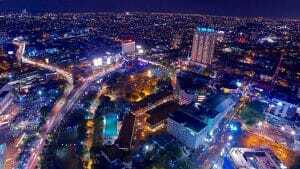 Although many people use the city as the gateway to the world-renowned Mount Bromo, Mount Ijen, and Mount Semeru, this page will talk about Surabaya points of interest that are located right in the city itself. For travellers, highlights of the city include the Suramadu Bridge, House of Sampoerncigarette museum, Heroes Monument, and Al Akbar Mosque. In terms of culinary, you have the wide variety of affordable fine dining at the various restaurants as well as the traditional street stalls. Check out the famous local food such as: Rujak (fruit salad with peanut sauce), Rawon (diced beef soup), and Tahu Tek2 (fried beancurd). For local souvenir, get your hands on Spikoe (similar to Layer Cake / Kue Lapis). 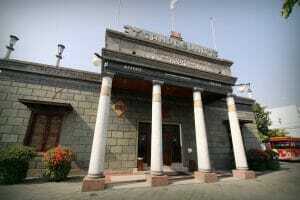 The House of Sampoerna is a cigarette museum that exhibits and tells the history of cigarette making in Indonesia. As one of the major local brands in Indonesia, Sampoerna has been part of Indonesian’s history since the mid-19th century. A portion of the museum is dedicated to the history of how this place was found. There are displays of the founder’s, Seeng Tee, old objects such as his bicycle, motorcycle, and equipment & objects related to tobacco. Interestingly, there is also a tobacco plant located within the building where more than 3,500 women used to roll Sampoerna’s Dji Sam Soe cigarettes by hand. Al Akbar Mosque, also known as Great Mosque of Surabaya, is the second largest mosque in Indonesia after Jakarta's Istiqlal Mosque (in terms of maximum number of congregation it can accommodate). One of the uniqueness of this architecture is in the shape of its dome, which almost resembles half an egg. Technique and materials employed for this majestic architecture can be compared to other mosques such as Selangor Grand Mosque in Shah Alam located in Malaysia. 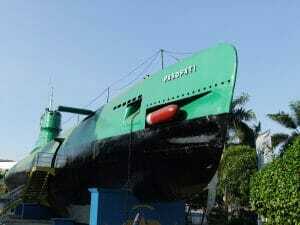 The Submarine Monument is a submarine museum located in Surabaya city centre. This monument is actually a submarine KRI Pasopati 410; one of the naval fleets of the Republic of Indonesia made in the Soviet Union in 1952. The submarine was once involved in the Battle of the Aru Sea to free West Irian from the Dutch occupation. The monument is there to commemorate the courage of Indonesian heroes who were involved in the Battle of the Aru Sea. Inside the museum, there is a movie screening of the Battle of the Aru Sea. You are encouraged to engaged a local guide there for a better insight of the place; a story worth listening to! 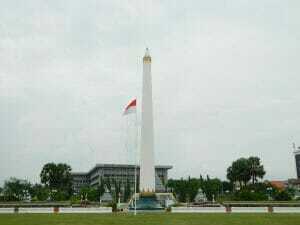 The Heroes Monument, also known as Tugu Pahlawan in Bahasa Indonesia, is the main symbol of the city. The monument is dedicated to the people who died during the Battle of Surabaya on November 10, 1945. There is also the “10 November Museum” located underneath the monument. The 10 November Museum consists of 2 floors, with exhibitions symbolizing the spirit of the local’s struggle and reproductions of documentary photographs. 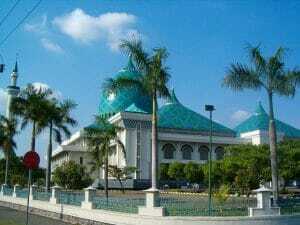 Suroboyo Monument is a beautiful landmark in Surabaya. It's a big monument with unique sculpture of shark and crocodile. It was told in local myth that both animals were fighting each other in order to gain the title “the strongest and most powerful animal in the area”. Now the two animals are used as the city’s logo while motor vehicles are circling them. 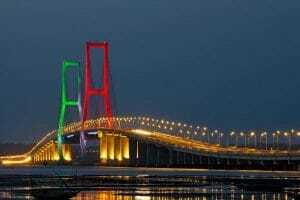 At 5.4km long, Suramadu is the longest bridge in Indonesia and it connects Surabaya city on the eastern part of Java island to Bangkalan town on Madura island. To have a vantage view, you need to go to Kenjeran beach and see the Suramadu National Bridge from a distance. 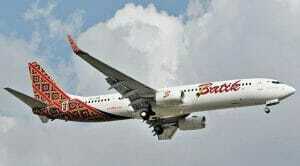 There are many direct flight options to Surabaya arriving at Surabaya's Juanda International Airport. Domestically, you can reach Surabaya via Jakarta, Yogyakarta, Balikpapan, Ujung Padang, Bali, Pontianak, Palembang, Ambon, Pangkalanbun, Palu, Sampit, Semarang, Kupang, Palangkaraya, Praya, Denpasar, Ternate, Tarakan, Bandar Lampung, Batam, Jember, Pontianak, Surakarta & Bandung. If the above flight options do not suffice, you may consider flying into Malang’s Abdul Rachman Saleh Airport which is 95km away – 3 hours' drive. Otherwise, you could consider going to the most convenient and nearby city and then take a train to Surabaya Gubeng Train Station.